Extra-judicial means are being used to pressure and detain anti-fascist activists in Russia. Viktor Filinkov, who disappeared on 23 January, only to appear in a Petersburg court. Source: Personal archive. Please remember that you can get advice about what to do if you are arrested via our telephone hotline 8-800-707-05-28, this cartoon, and our detailed instructions. We also provide a bot in the Telegram service by means of which you can get in touch with us, and also receive advice on what to do if you have ended up in the back of a police van. Knowledge is power. 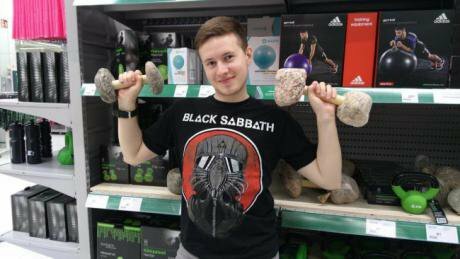 - Anti-fascist Viktor Filinkov from St Petersburg went missing en route to Pulkovo airport. Two days later a court remanded him in custody on terrorism charges. According to the Investigative Committee: “Filinkov and other unidentified persons who share an anarchist ideology took part in a branch of a terrorist group for the purposes of carrying out acts of terrorism, propaganda and justification and support of terrorism.” The joint press service of St Petersburg courts stated that the activist has admitted the actions of which he is suspected. Unidentified persons set fire to a car belonging to the office of Memorial Human Rights Centre in Dagestan in which the lawyer of Oyub Titiev (head of the Grozny branch of the organization recently charged with possessing drugs), had travelled to Chechnya. Text messages containing threats have been received by the mobile phone of Memorial’s office in Makhachkala: “You Are On The Edge Of The Abyss Shut Down! Next Time We’ll Set Fire To You As Well As The Office Your Car A Warning”. Oyub Titiev. 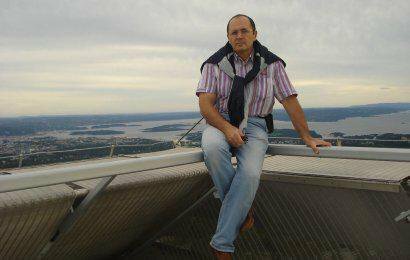 Titiev himself has been remanded in custody. The 60-year-old man is charged with possession of drugs. - The police have not found any evidence of guilt of the mathematician Dmitry Bogatov. Assessment of the notebooks and memory sticks seized by the police lasted eight months. Bogatov’s lawyer believes that all the charges against his client may be dropped in the near future. - Bogatov has been charged with preparing to organize large scale riots and justifying terrorism. The charges were brought in connection with a proposal to demonstrate on Red Square on 2 April 2017 posted by someone using the pseudonym Airat Bashirov on the SysAdmins.ru forum. The calls were sent from the Bogatov’s IP address. However, Bogatov operates a Tor exit node, which means that any user can send a message from his IP address. A court in Astrakhan has ordered the release of Bolotnaya Square defendant Maksim Panfilov from a psychiatric hospital. This means that on 2 February 2018 the last “Bolotnaya Square prisoner” will be released from detention. However, it is of course too early to say that the Bolotnaya Square case is closed because many people who have left Russia because of fear of prosecution or threats related to the 6 May 2012 demonstration still cannot return to Russia. The chief editor of Russiangate, Aleksandrina Elagina, has been dismissed and the publication closed. This occurred after Russiangate published an investigation into the elite property belonging to persons with the identical full names of the head of the FSB Aleksandr Bortnikov and his deputy Sergei Smirnov, but which had not been declared by them. According to Elagina, the Investigative Committee is considering whether to prosecute under Article 282 of the Criminal Code (inciting hatred or hostility, or debasing human dignity). The journalist does not know whom the Investigative Committee plans to charge in this case.